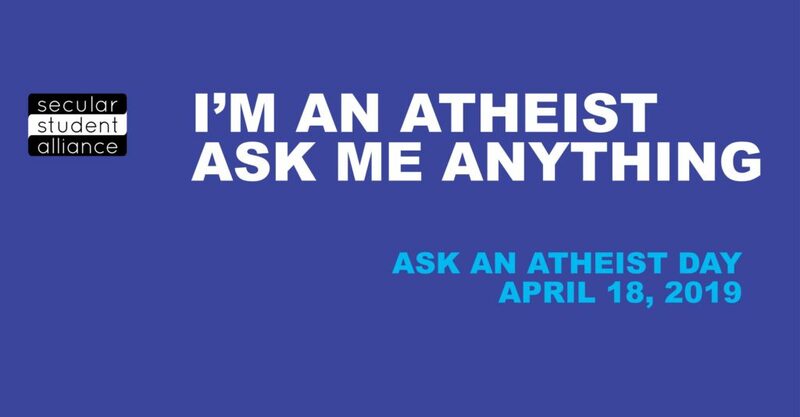 National Ask An Atheist Day is an opportunity for secular groups across the country to work together to defeat stereotypes about atheism and encourage courteous dialogue between believers and nonbelievers alike. The event is intended to be an opportunity for the general public—particularly people of faith—to approach non-theists and ask questions about secular life. We're encouraging all SSA affiliate groups to participate at whatever level they are able! 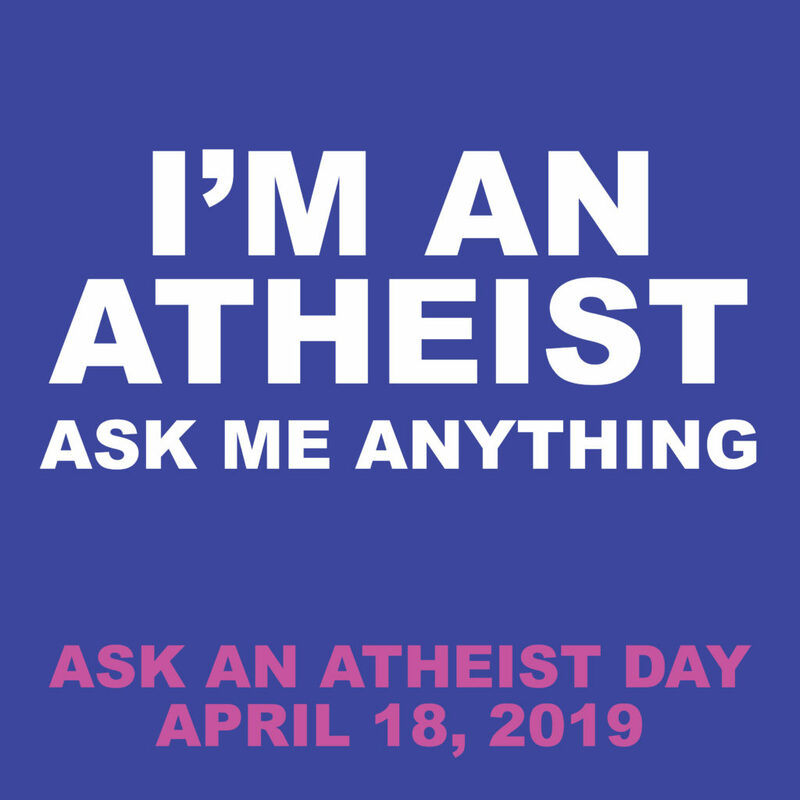 In 2018-19, Ask an Atheist Day falls on September 20 and April 18. Table on your campus. Set up your table as you would for your campus activities fair or any other time you table. Remember that in some cases you will need to get approval from your appropriate department. Order special Ask An Atheist Day tabling supplies by emailing your organizer. Use social media. Using the social media resources below, invite your Facebook, Twitter, and Instagram followers to ask you questions about your atheism. 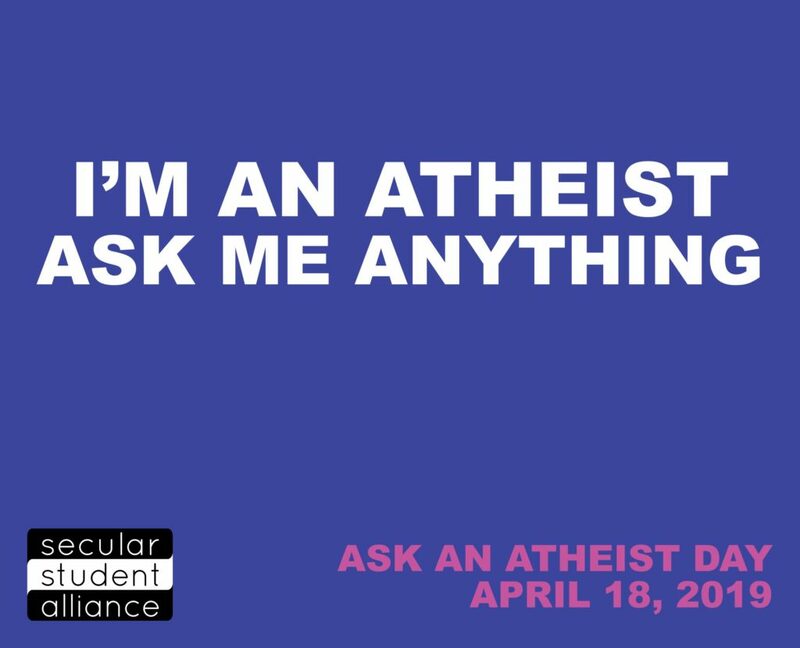 Use the hashtag #askanatheist and tag @secularstudents so we can track all the comments. You can also use our Facebook frame on your profile picture and your story. 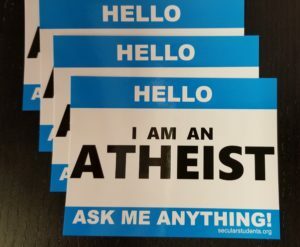 Search for "Ask An Atheist Day"
Wear our Ask An Atheist sticker (pictured at right) and start some conversations.